Born in 1958, Hui Ka Yan today chairs Evergrande Real Estate, a Hong Kong listed real estate Development Company based in Guangzhou. With his enterprise, he is active in residential, commercial as well as hotel property development. He is also known for his interests in sports. Hui brought the talent of international success to China with Lucas Barrios. 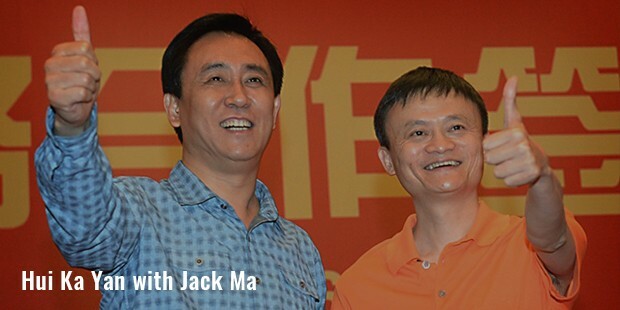 He sold 50% of Guangzhou Evergrande Football Club, his soccer team that won AFC Champion League, to Jack Ma’s Alibaba Group in 2014 for $192 million. 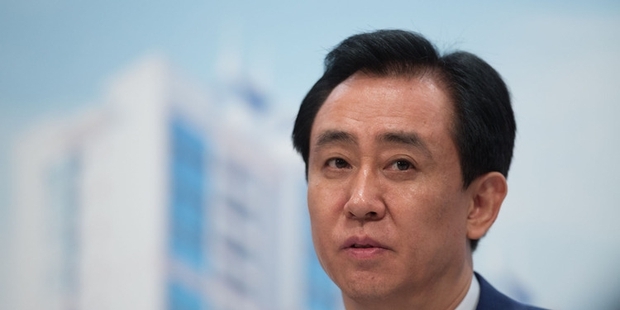 He is one of the top 10 richest people in China. With more than 25 years of experience in the area of property development, corporate management and real estate investment, Yan has held managerial positions in a number of entities, including Guangzhou Pengda Group Company Ltd. and Wuyang Iron and Steel Co. Ltd. 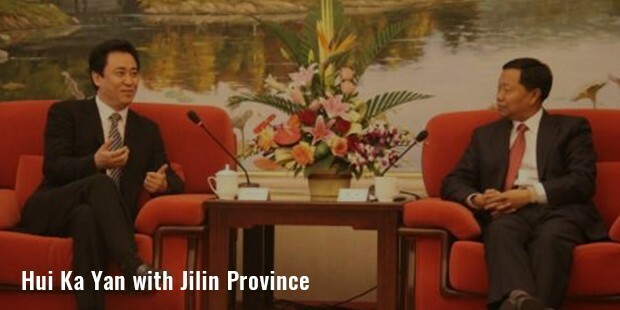 He has been chairing Evergrande since 1996, under which he has looked after a number of property development projects. Born in the Taikang County of China, Lui completed his graduation from the Wuhan University of Science & Technology, obtaining a degree in metallurgy in the year 1982. He also serves as a management professor of Wuhan since 2003. He earned an honorary Ph.D. in 2008 from the University of West Alabama. 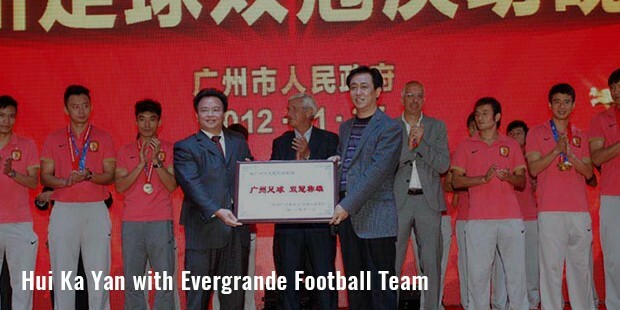 Lui is in charge to formulate overall strategies of development through Evergrande Real Estate Group. Some of his current projects include Evergreen Spring City Enping of Guangdong, and Evergreen Oasis Wuhai of Inner Mongolia. His earnings were at the best when the company reached success during the time when tight controls were rolled out on real estate lending. His shares in Hong Kong increased manifolds, and he made many more development plans that he intended to achieve. Since 2012, Lui has contracted sales worth $16.4 billion with an increase as much as 25%. He also plans to issue new shares worth a billion to external investors. Hui Ka Yan is one of the top philanthropists in China. In 2011, he donated $62 million, and received the National Model Worker honor by State Department. At present, he is member of 11th National Committee of Political Consultative Conference of Chinese People. He also serves as the vice president of China Real Estate Association, China Entrepreneur Association and China Enterprise Association. Recently, he also announced to donate $100 million for funding a scholarship at Tsinghua University of Beijing, China. 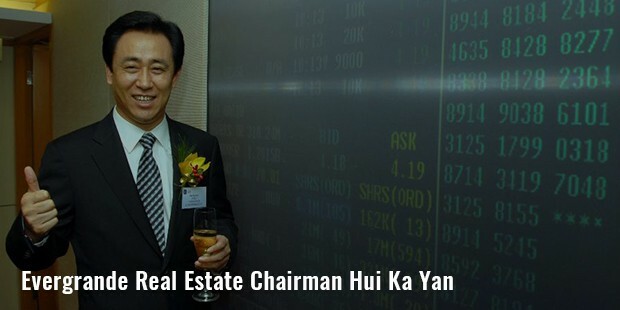 Hui Ka Yan is a Chinese businessman and real estate developer with several years of experience. He has a wide array of projects under his leadership, and many more are yet to come.